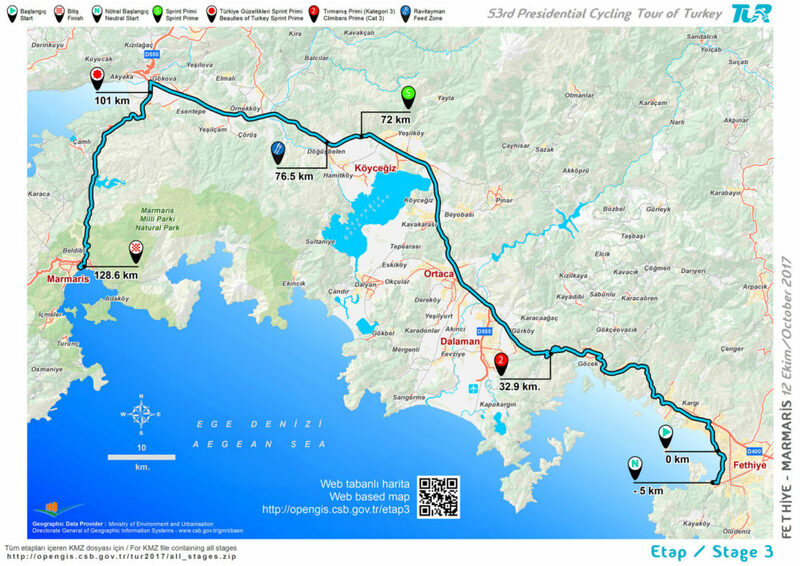 The 53rd Presidential Cycling Tour of Turkey takes place this year from 10 to 15 October. 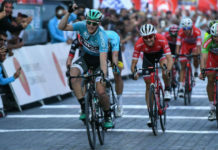 Organised traditionally by the Turkish Cycling Federation, the Presidential Cycling Tour of Turkey started in 1963 as the “Marmara Tour.” It gained international status for the first time in 1965 and was taken under the auspices of Presidential authority in 1966. 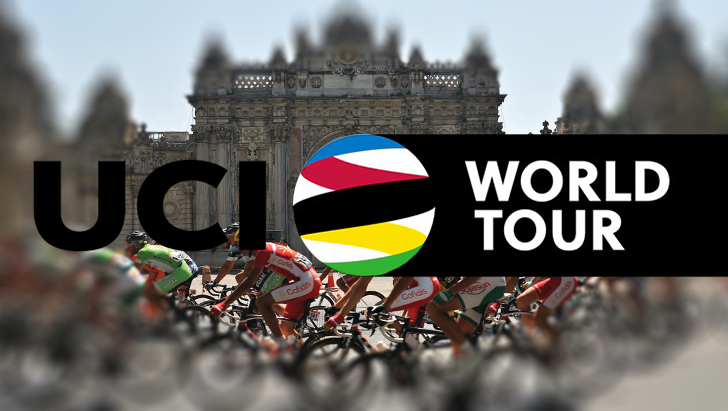 This year the tour has been promoted to World Tour category by UCI. 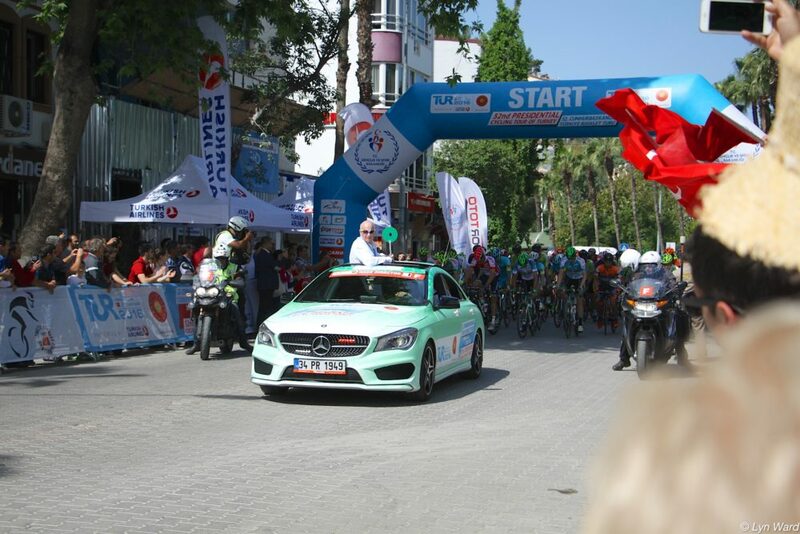 There are six stages to the tour and this year, for the first time, there will be a “finish” and a “start” in Fethiye. 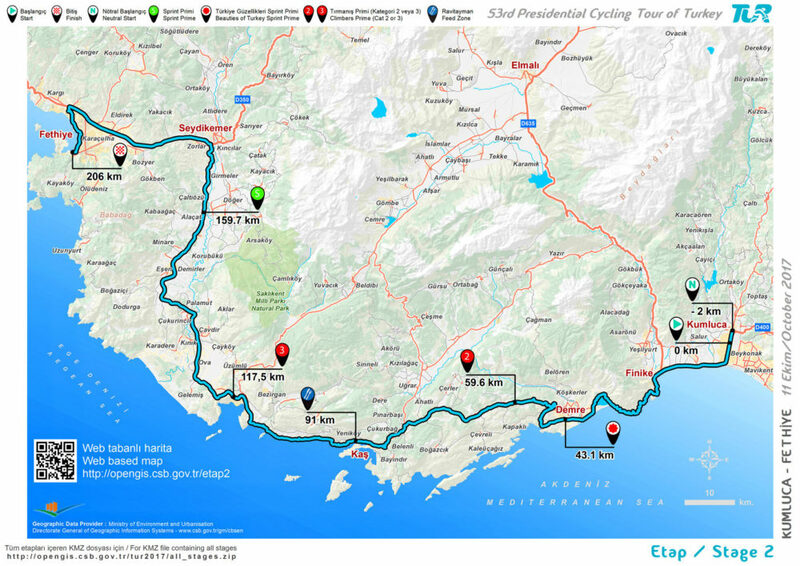 Stage 2 finishes in Fethiye and is expected to arrive tomorrow afternoon (Wednesday 11 October) at approximately 16:30 to 17:00. 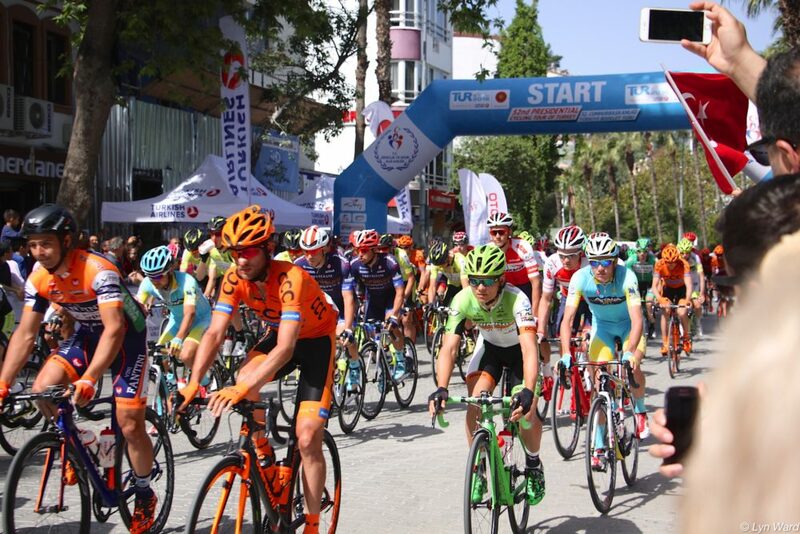 Stage 3 starts in Fethiye on Thursday (12 October) at 13:30. If you’re planning on being out and about when the tour reaches Fethiye be mindful that the roads along the route will be closed. It’s well worth joining the crowds of onlookers that line the road to cheer the cyclists on and enjoy the atmosphere. Here are a few photos from the start of last years tour.